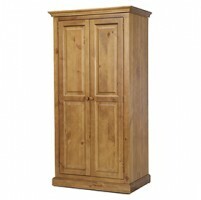 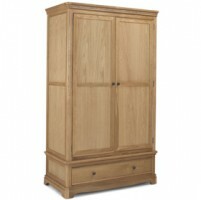 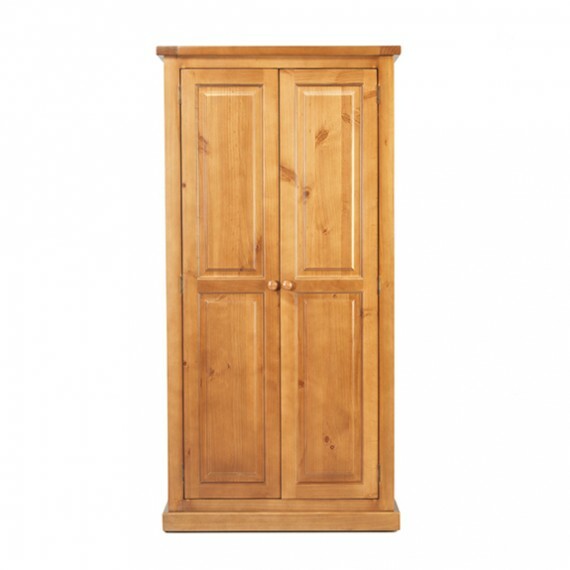 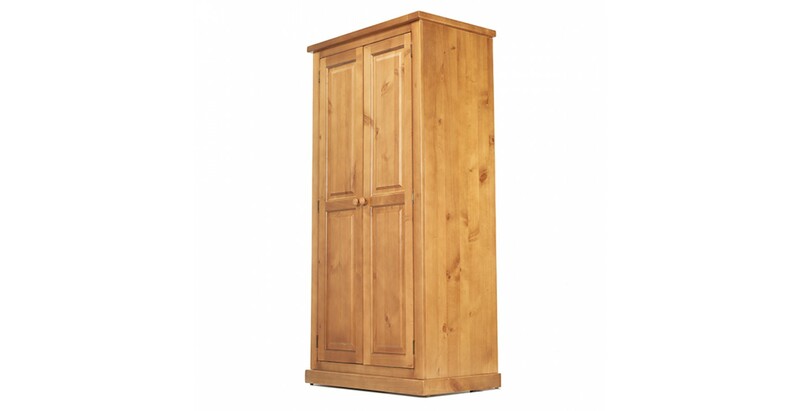 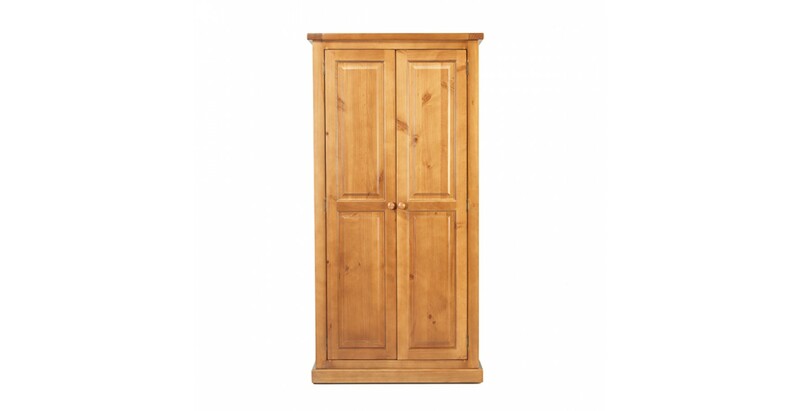 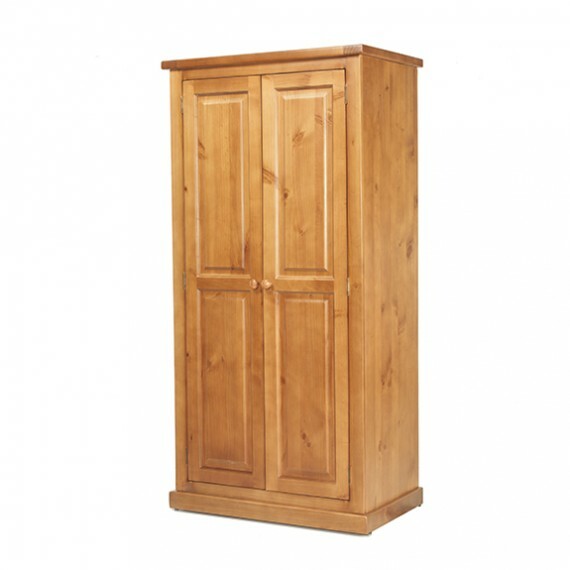 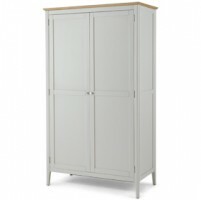 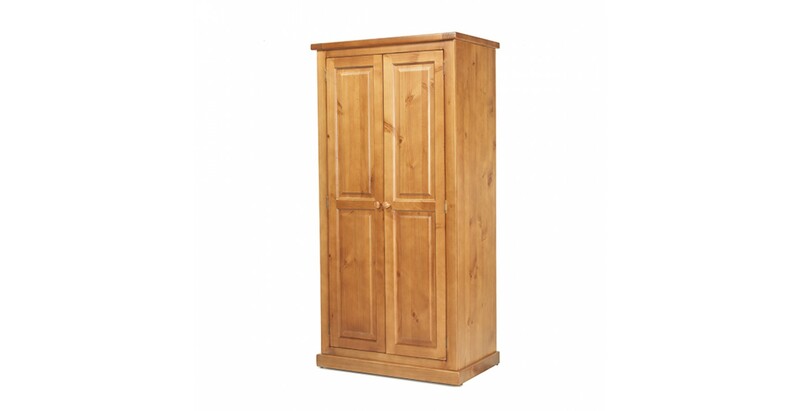 Generously proportioned to accommodate longer garments and higher heels, this sleek-lined wardrobe will be at home in any decorating scheme. 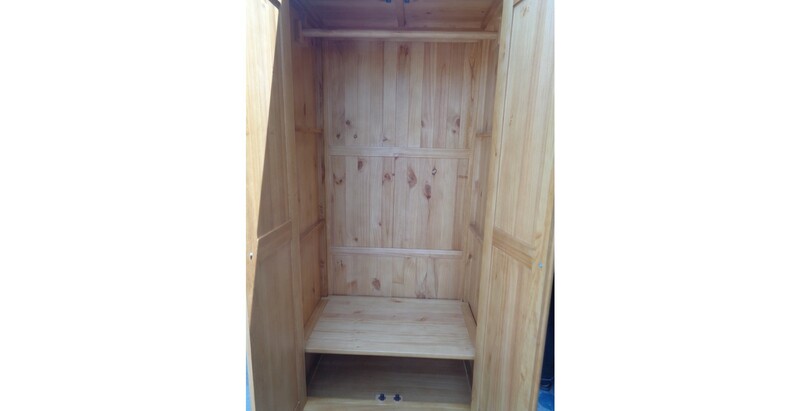 There is a full width hanging rail and handy shelf behind the panelled double doors, with space at the bottom to line up a few pairs of shoes as well. 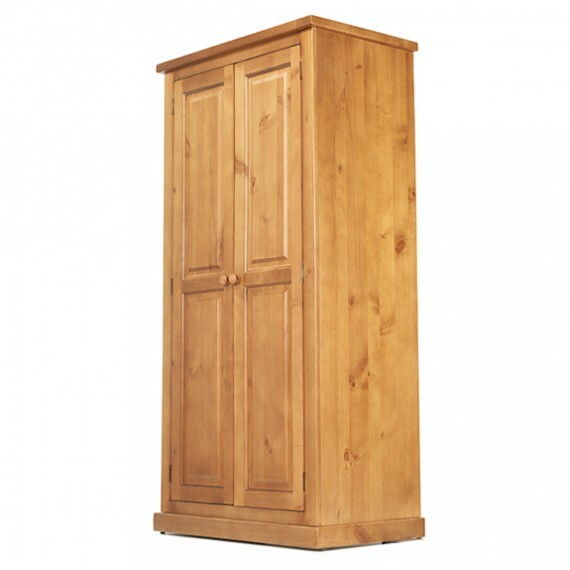 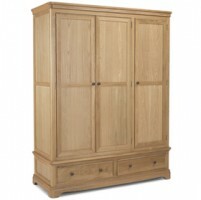 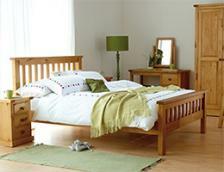 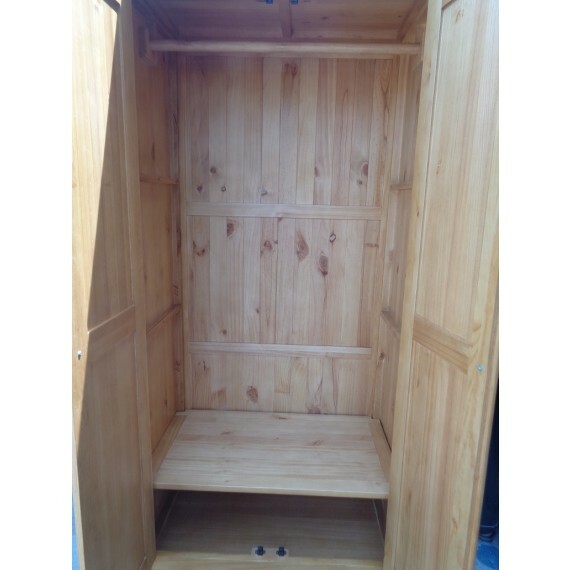 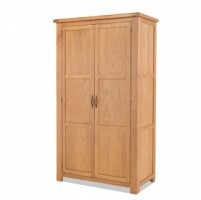 Beautifully made from reassuringly chunky pieces of solid pine, it's been given a light oak stain and a protective matt lacquer to make sure it keeps on looking good for years.